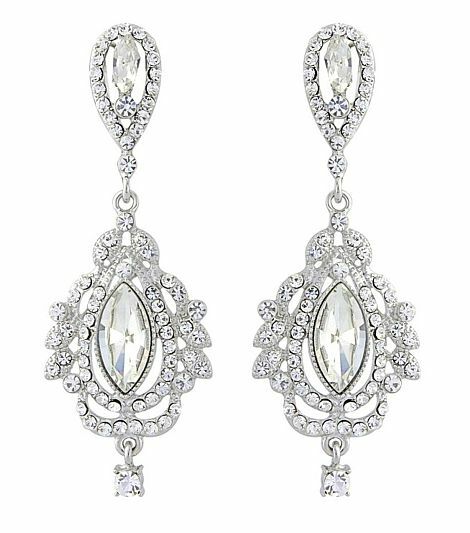 Shades of 1940s Hollywood and the earrings worn by the stars of the Silver Screen. Silver finish setting complete with dazzling crystal clear “jewels”. Size: 6.5cm/2.6” x 2.5cm/1”.